Jo-Anne is also a Nationally accredited Mediator, has completed a Diploma of Government (investigations), a Certificate IV in Business and Management, a Certificate IV in Training and Assessment and is a sessional lecturer at Latrobe University. 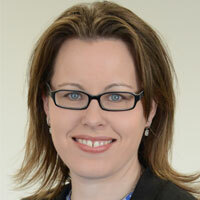 Jo-Anne currently works as the Principal Legal Officer for the Disability Services Commissioner of Victoria. Jo-Anne is also Deputy Chair of the Patient Review Panel, a legal member of the Mental Health Tribunal of Victoria, the Victorian Institute of Teaching Hearing Panel, the Councillor Conduct Panel, the HIV Advisory Panel and the Disciplinary Appeals Board of Victoria. Prior to her appointment as Co- Convenor, Jo-Anne was a senior legal tutor in the medical law program.